Dr Jengo's World: Another AC IV Collectors' Edition? Another AC IV Collectors' Edition? Just when I was thinking it will be another few weeks before we see more news on other AC IV Collectors' Editions.. this turned up.. There seems to be a 29cm Figurine as well as a Pirates' Chest together with DLC and the Gamestop Exclusive Poster. Some are saying this is a fake ad so it remains to be seen.. But if it's legit, looks like this will be the 3rd CE I'll be getting for AC IV. The Darksiders series may not be over!! 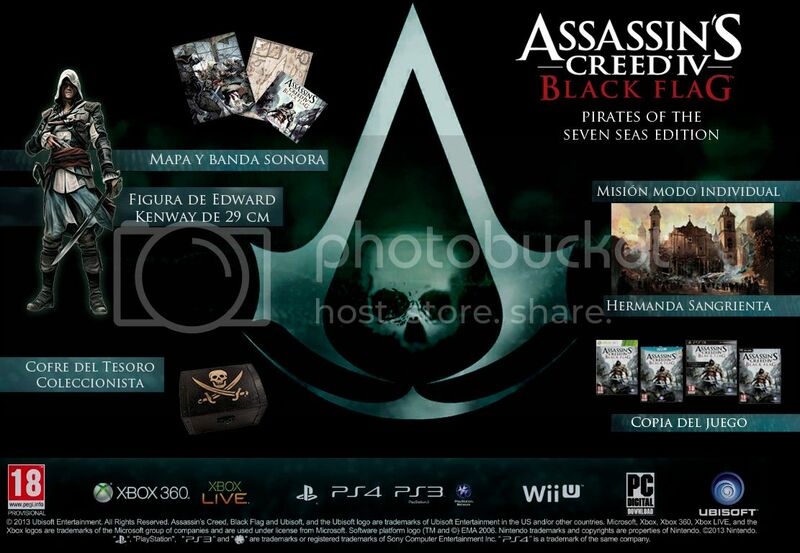 AC IV Black Flag's Collectors Editions Revealed! AC Revelations Multiplayer Trophy Boosting? God of War Collector's Edition! Another leaked AC IV Trailer..